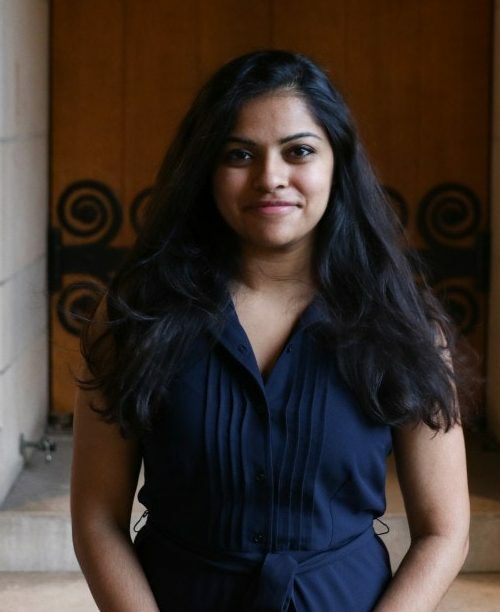 This interview was conducted over email with Likhitha Butchireddygari, a senior undergraduate student enrolled in the Human Rights Certificate Program, completing a Program II major in Digital Democracy and Data, by Miranda Gershoni, a first-year undergraduate student working for the Duke Human Rights Center at the Franklin Humanities Institute. Likhitha Butchireddygari (LB): I wanted to learn more about global rights dilemmas as they occur in our local communities. LB: This certificate most directly addresses the world’s greatest problems — dissecting them, critically examining them, and learning how to address them. LB: The Human Rights Certificate program is very holistic and allows us to look at issues through multiple critical lenses, which helps us get a more full understanding of those issues. It allows us to be more thoughtful in our approaches in the field. LB: In Robin Kirk’s Introduction to Human Rights, we did a tour of Durham where we looked at moments of civil rights history in Durham, like the Pauli Murray mural and Black Wall Street.